What are Medicare income and age eligibility requirements? What plans offer new, enhanced benefits, particularly for home care? The guests explain what members should expect during open enrollment. 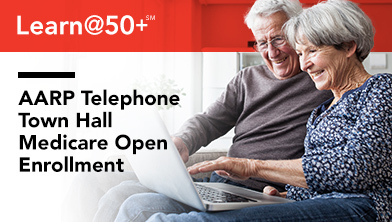 AARP held this Access Live event to speak about Medicare Open Enrollment. Representatives from AARP and the Centers for Medicare & Medicaid Services discussed how to make the best coverage choices and talked about four major considerations to know before making coverage decisions. AARP also spoke about the new tools available and Medicare’s new benefits and coverage.